TSM Emergency Plumbers Downham Market is your one stop for all your emergency plumbing needs in the Downham Market area. We provide a full range of emergency plumbing services to domestic, commercial & industrial clients across the Downham Market Area. At TSM Emergency Plumbers Downham Market; our vans carry a wide range of spare parts to cover 99% of all house hold emergency plumbing needs. However if we do not carry the correct spare part we will endeavor to provide a temporary solution, if safe to do so until we can source the correct part. Our Downham Market engineers will be on hand to offer assistance in sorting the problem out in the fastest possible time. 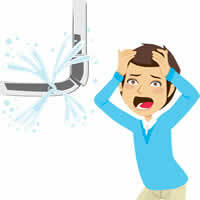 If you have a plumbing crisis– DON’T PANIC! – help is just a phone call away. If you have a leak or a burst pipe try to turn off your water supply at the stop valve, then call us, we aim to attend any emergency plumbing or drainage issue in under 2 hours day or night. One simple phone call and we will dispatch a qualified Plumber to you in Downham Market without delay. TSM Emergency Plumbers Downham Market do not charge call out fees. On arrival we will investigate the problem and advise the cost of repair, this will be a fixed price with no hidden extras. We are fully vetted by Norfolk Trading Standards Trusted trader scheme. 24 Hour Emergency Plumbers Downham Market. TSM Emergency Plumbers Downham Market is part of TSM Plumbing And Heating, we are a local family run business which prides itself on providing a high level of service to our customers across the whole of the Downham Market area. 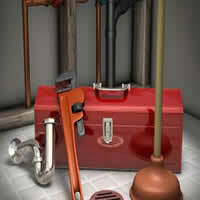 We aim to attend any plumbing emergency within 1-2 hours, no matter what time of day or night. Your local professional 24 hour Plumbing specialist providing Emergency Plumbers across Downham Market. Local fast response 24/7 for emergency burst pipes, blocked drains, sinks, baths, toilets, leaking taps, in the Downham Market area. The professional Emergency Plumbing service. We are members of the Norfolk Trusted Trader scheme since 2011 and we are extremely proud of this. You can trust in TSM Plumbers Downham Market to put right any plumbing problems that you may have, including; Central Heating Problems, Toilet Troubles, Blocked Drains and Pipes, Frozen Pipes and more. No job is too big or small for TSM Plumbers Downham Market.